When recruiters work with a hiring manager, they build successful teams, one good hire at a time. Unfortunately, these relationships are often tense when they should be collaborative. Hiring managers often grumble about the quality of candidates, while recruiters complain that hiring managers have impossibly high standards. A recent Deloitte study found that more than 60% of hiring managers report that recruiters do not understand the jobs they are recruiting for, while over 80% of recruiters reported that they understood the jobs they were looking to fill. Early, frequent, close communication can ease tensions. Begin by spending time up front learning about the work dynamic the new hire will be stepping into. Ask lots of questions, especially about why the opening exists. Is it a new role? Is the company adding staff? Or is the opening the result of turnover or promotion? Don’t worry about sounding like you don’t understand the nature of the role at this stage. The hiring manager will be far more frustrated if a misunderstanding becomes apparent at a later stage in the process. You can use this information as you develop the job description, establish the hiring process, and screen applicants. The best way for recruiters to meet managers’ expectations is to agree on what qualifications are necessary and possible at the salary being offered early in the process, and which desired traits are expendable. Ranking the skills needed for the role can help turn a wish list into a truly workable job description. As you finalize a job description, use data to further manage expectations. The best way to convince a hiring manager that it is not possible to secure high-level talent at a low salary is to show them what skill sets are available at what price point. Use data analytics from sources like Salesforce’s Job Science, LinkedIn’s new Talent Insights tool or a Chrome extension like Data Miner to present a clear picture of external salaries and available qualifications by region and specialty. Make it a priority to agree on a recruitment strategy, interview process, and optimal but realistic time frame early on. Once the process is agreed upon, send a written summary of the process to all stakeholders before you speak to your first candidate. Make the process as transparent as possible by employing an applicant tracking system (perhaps, one that offers free job postings) that is accessible to all members of the hiring team. As you develop the process, be realistic. Remind yourself that hiring is only one of many goals hiring managers are dealing with at any given time. Try not to make the process overly cumbersome for them. Shortly after the interview process begins, check in to make sure that the first few candidates you refer are on target. If not, adjust accordingly and communicate to the hiring manager that you understand their concerns and are capable of addressing them. If the manager’s vision and yours are far apart at this point in the process, press for a meeting to clarify the priority qualifications of the opening. Be ready to offer as much help as managers ask for, from sample interview questions to feedback on interview techniques. At Netflix, for example, recruiters and managers are working together to reinvent the talent recruitment dynamic by encouraging recruiters to take on more of a consultative role, coaching hiring managers on how to communicate with potential hires more effectively. Reversing the dynamic from tension to cohesion can strengthen the bonds between recruiters and hiring managers and improve the success rates of new hires. 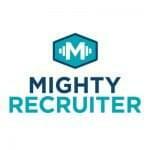 MightyRecruiter’s intuitive, comprehensive recruiting solution is now free! Post to multiple job boards, source passive candidates, manage applicants, and access a resume database of 22+ million resumes, all for no cost! TALK TO OUR TEAM TODAY! Have a question about our platform or want to schedule a demo? The true story behind the girl with the whiteboard and why recruiters and employers alike need to stand up and pay close attention! What's The Difference Between a Recruiter and a Talent Advisor? Looking to find out the difference between a Talent Advisor and a Recruiter Well, you've come to the right place Here we look at the main differences that separate the two. 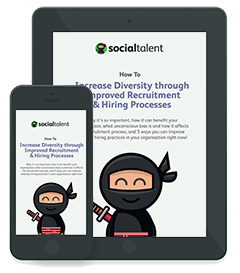 Your authenticity, credibility and trustworthiness as a social recruiter depends on the power of your personal branding efforts.